Tribute albums are a fickle medium to work in. While they are usually filled with good intentions, the follow through can be somewhat lacking. For example, there are a myriad of Johnny Cash and The Clash tribute albums out there with barely enough standout tracks in all of them to make one great album. You want to honor the artist because they are so iconic, but because they are so iconic, it’s hard to truly honor them in a special way that isn’t just adding to the noise. When it’s done right though, it makes for a really great album. 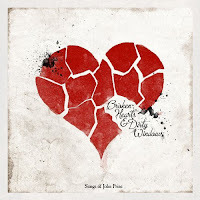 Such is the case with Broken Hearts and Dirty Windows: Songs of John Prine from Oh Boy! Records. 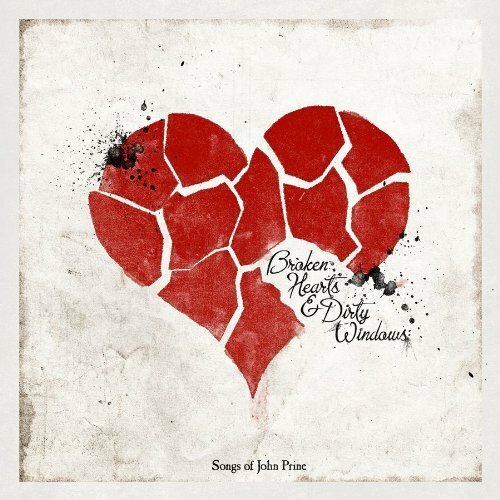 John Prine has been giving the world song after beautiful song since the early 70’s and shows no signs of stopping any time soon. In fact, he even appears on Shel Silverstein’s tribute album that came out earlier this month. So it’s really nice to see him receive such a gorgeous tribute album of his own. Especially one filled with such faithful and imaginative renditions of his touching songs. One of the things that makes Broken Hearts and Dirty Windows work so well is the group of artists that appear on it. While contemporaries of Prine’s would fit right in on a tribute album of his (legends like Bob Dylan and Kris Kristofferson never fail to mention him as a songwriting heavyweight), this one goes the route of the younger apprentice. These are musicians that would’ve heard Prine’s music from their parent’s record collection rather than from sharing the stage with him. Showcasing some of the finest names in alt-country, Broken Hearts and Dirty Windows has a great vibe that is both energetic and, for lack of a better word, respectful. The song choices do a really great job of showing the nuances in John’s songwriting skills. The Avett Brothers, Those Darlins, My Morning Jacket, Conor Oberst and Drive-By Truckers all successfully capture John’s upbeat, playful side with their tracks, while Old Crow Medicine Show, Justin Townes Earle, Sara Watkins, Bon Iver and Josh Ritter handle his melancholy side. One thing you’re reminded of while listening to this album is that John has never tried to impress or dazzle anyone with crazy word choices or verbose lines. Instead, he uses everyday language and everyman characters to tell funny, heartbreaking and authentic stories in a way that not many other people can. Each song is immediately accessible, unencumbered by vague lines or veiled metaphors and is as pleasing to the heart as it is the ears. Broken Hearts and Dirty Windows will be available June 22nd.